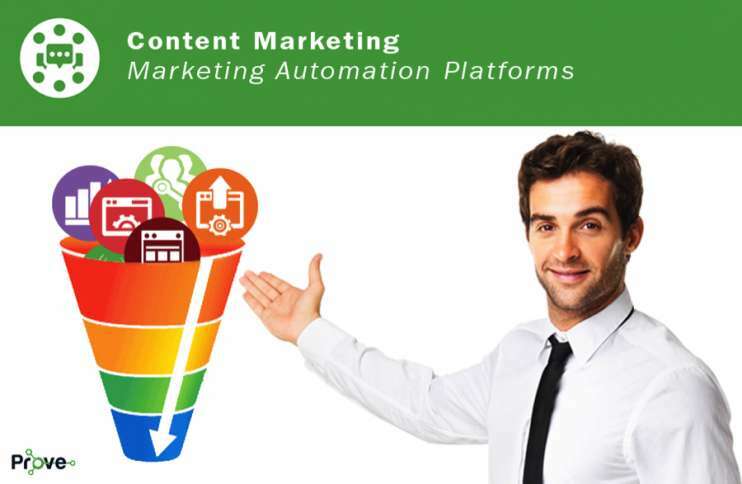 MARKETING AUTOMATION PLATFORMS TODAY ARE VERY HOT TOPICS FOR MANY COMPANIES. BUT WHAT CAN THEY DO FOR YOU? Already raking in $3.2 billion by 2010, the marketing automation industry is expected to grow to $4.8 billion in 2015. The leaders in this field are Marketo, Pardot (Salesforce), Eloqua, Silverpop, and so many more. First, what is a marketing automation platform? The key success for your marketing campaign is to deliver the perfect piece of content at the perfect time. Isolate customers into segments to know where they are in the purchase funnel and deliver a piece of content most likely to inspire them to take action. Studies show that on average, companies that have adopted this approach see a lift of more than 400% in their conversion for EVERY funnel stage. How is your current email marketing program? If the answer is “just a few email blasts a month,” it means that you need to create new email drips that will facilitate your desired results. Within an email drip. This study shows that something as little as having a resend policy for people who didn’t open your initial email will considerably increase your open rate. And customers appreciate that. Across an email drip. Move your customer from an email list to another based on their previous behavior. At the end of the day, that’s one of the best conversion increase tactics that any digital channel can offer. This is possibly the biggest advantage of marketing automation. When you create your customer segments and targeted assets for each of them, you can start moving the needle for customers who are “not ready to buy” to “I am interested to know more” to “your product/service answers my problems and/or needs” to finally, “I am ready to buy.” Marketing automation tools let you automate this full process. How amazing is that! You need to understand how your leads and customers behave on your site and outside your site. Start gathering information on everything they do, interact with, comments they make, other behaviors, and shape these into “insights” that will help define your future digital strategies. When marketing automation only implies the automation of repetitive marketing tasks, it’s difficult to see how you can become a customer-focused company. But, this is exactly what marketing automation is capable of helping you become. By collecting and using behavioral information about your customers and leads, you can create such advanced segmentations that targeted information you share with them will seem TAILORED to one customer or lead. This what we call a Massive Marketing Initiative for a tailored customer/lead experience.